Thousands of bloggers are doing their best to become key opinion leaders in their niches, but most of them fail to succeed. 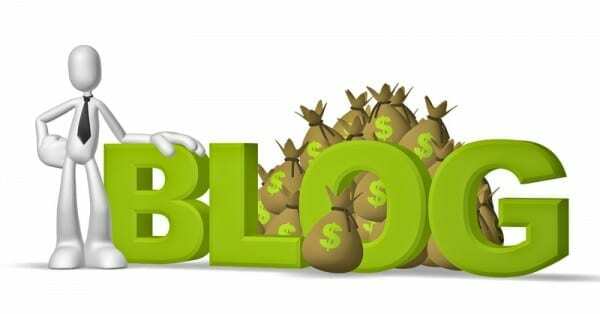 With more than 30 million blog writers in the US alone, it is impossible to get a foot in the door unless you keep publishing quality posts week after week. A majority of bloggers agree as 80% of authors believe that writing amazing content is the most important factor for building a successful career. But how can you maintain consistency and keep finding interesting topics? The answer is simple – you need to use data analytics to come up with fresh appealing ideas. In this article, we will show you 6 data-driven tips to find the best topics for your blog. Let’s take a look! The best place to begin with is your own blog. You should analyze existing posts to understand user behavior and learn which articles made the biggest impression on your followers. There is a wide variety of valuable blog analytics tools, but Google Analytics is the first instance in this field. Using the Google’s native web intelligence app, you can discover all of the basic blog success indicators such as page views, time spent on page, lead generation, new subscribers, etc. The only thing left for you to do is to determine the desired objective. If your goal is to raise awareness, then you should choose topics similar to ones that attracted many page views. If your goal is to gain new prospects, then you should find topics that generated leads. Make sure to know your objectives, and you’ll be able to design top-notch posts. When you complete a self-analysis, you need to move on and research competitors. This way, you will stay up to date with popular topics and industry trends. The goal is to find out the style of writing of the most successful bloggers who always have their pages among the top results in Google searches. These and many other features will give you enough material to work on and create your own set of compelling blog ideas. Google’s People Also Ask section is a user-friendly feature that speeds up the search process even more than usual. But besides end-users, it also helps bloggers to detect the right kind of topics for their articles. How can I do SEO for my blog? All these questions revolve around the same topic (blogging and SEO), but they help you to discover a different angle to the same subject. Sometimes these suggestions will be even more obvious, so you just need to take advantage of the Google’s feature and find the appropriate topics for your website. Who can give you better topic suggestions than the audience itself? If you listen carefully to what they have to say, you will find a plethora of great ideas to write about. At the same time, there are a lot of Q/A websites such as Quora that you can exploit to analyze niche-related questions and user interests. Simply enter your field of work in the search box, and you will see a list of popular questions that could serve as the source of blog post ideas. Another way to learn more about the readers’ opinion is to ask them directly. You can conduct a survey on your website to understand user interests and preferences. Once you find it out, you can tailor blog posts so as to match the needs of your followers. Survey Monkey is one of the simplest tools to help you get the answers you need. With this platform, you can turn insights into action with sophisticated survey strategies. Besides basic features, tools like Survey Monkey also offer survey collectors to send out via email, mobile, chat, web, social media, and more channels. In each case, you’ll learn more about website visitors and design articles accordingly. As much as you’d like to know your readers the most, the truth is that sales reps and customer service agents probably know them better than you. After all, they communicate with potential consumers on a daily basis, so they are aware of the prospects’ needs and demands. You should exploit this knowledge to create more interesting blog topics, so feel free to get out of the office and ask your colleagues to tell you about the target audience. Blogging may seem like an easy way to generate website traffic and build audience loyalty, but it still leaves many authors wondering: why am I not getting more page views? Most of the times, the answer is very simple: you are not choosing subjects based on measurement and analysis. This article showed you 6 data-driven tips to find the best topics for your blog. Keep these tactics in mind and don’t hesitate to use them while preparing for new posts – they might bring you tons of new followers very soon.